Thai food may be associated with Thailand, but it is loved worldwide for being rich in history and flavor. 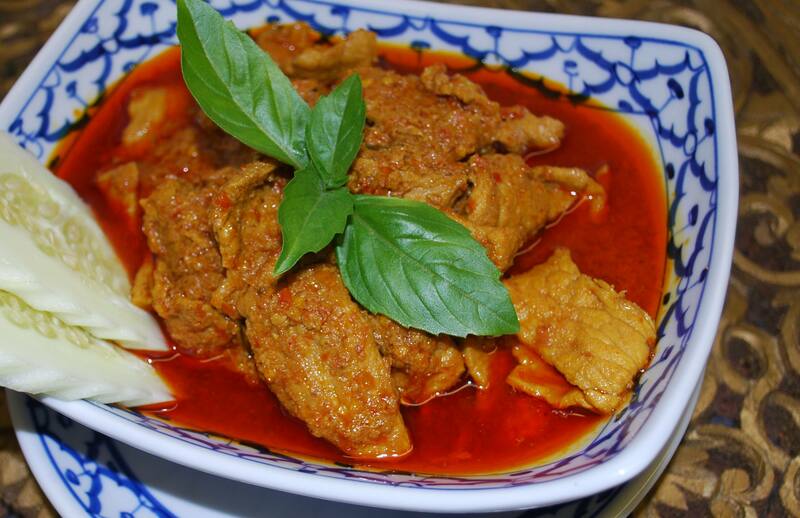 The cuisine of Thailand is a merging of both Eastern and Western influences into something brand new, as you can see when you enjoy Thai food in New Jersey. The origins of Thai food lie in the lifestyle of the Thai people, which was (and continues to be) closely to tied to the sea. Major ingredients included aquatic animals, plants and herbs, but large chunks of meat were rare, especially given the Buddhist influence on this cuisine. 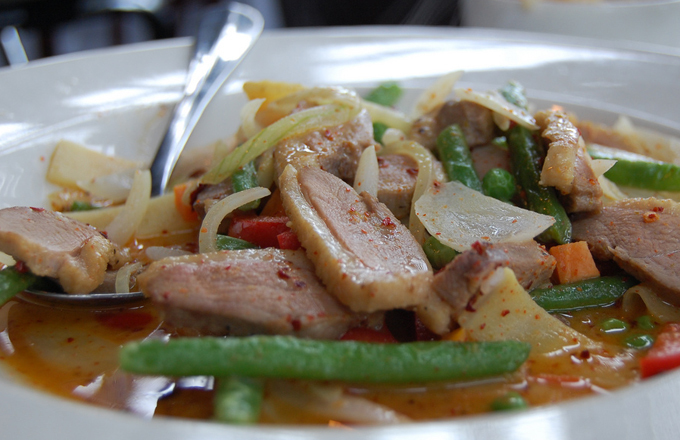 Generous portions of meat only came later as other influences contributed to the Thai food we know today. Traditionally, Thai food was stewed, baked or grilled, but later Chinese influence introduced frying, stir-frying, and deep-frying. Starting around the 17th Century, Portuguese, Dutch, French and Japanese influence began to make its way into Thai dishes. Most notable was the introduction of chili peppers in the late 1600s by Portuguese missionaries who had acquired a taste for them while serving in South America. The Thai (then the Siamese) took these influences and put their own twist on them by changing cooking methods and substituting ingredients. For example, they replaced the ghee used in Indian cooking with coconut oil, and substituted other dairy products with coconut milk. Thai food is known to be spicy, but in fact the spicing is toned down with fresh herbs like lemongrass and galangal, which can both ease yet enhance the spiciness of a dish. That is why Thai curries burn intensely but only briefly, while other curries will burn for a longer period of time. Through all these influences, the Thai grew adept at mixing and matching various types of food. Typical Thai meals include a soup, a curry dish, and more. For the Thai, it’s all about the harmony of taste and texture! 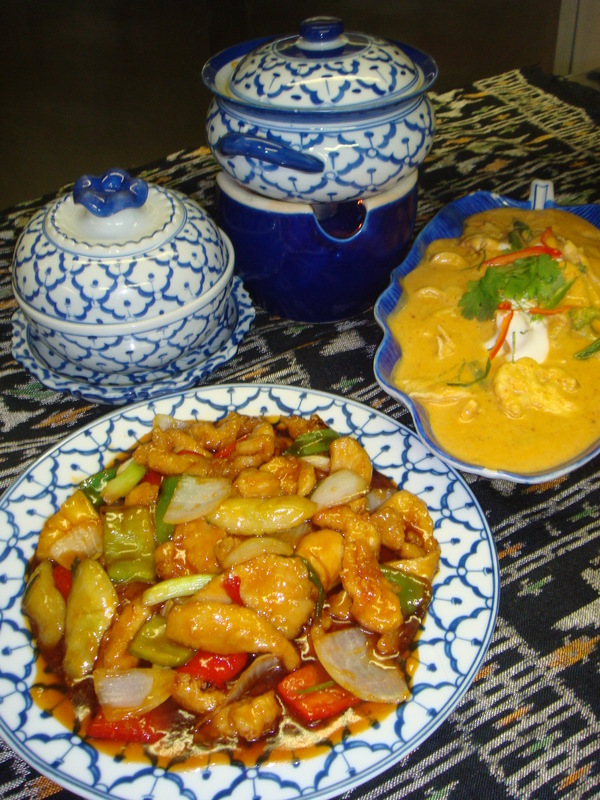 For more on the wonder of Thai food, visit Siam Garden on Facebook! 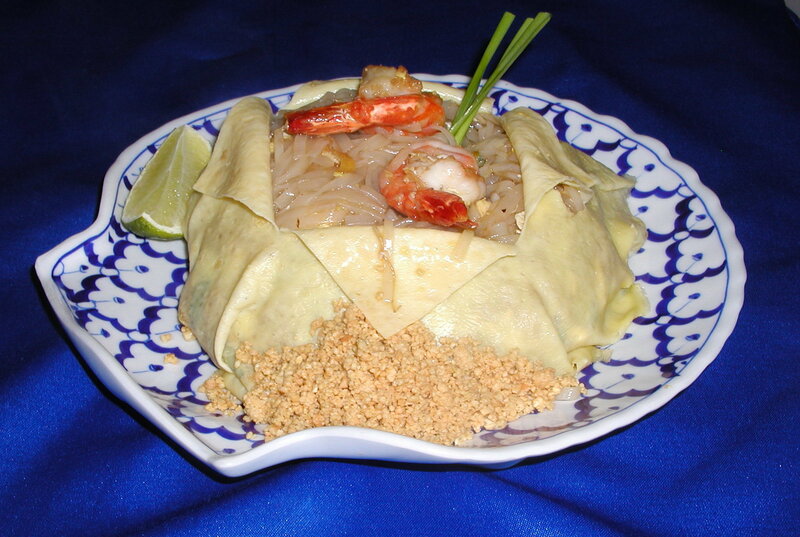 Thai cuisine is growing in worldwide popularity for a reason, including authentic Thai cuisine in New Jersey. By blending several Southeast Asian culinary traditions, along with some influence from Western food, Thai cuisine offers a dining experience that is both exotic and familiar, challenging and approachable, and simply delicious. Chilies – Whether red, green or otherwise, chilies form the foundation of the sweet and hot chili sauces and Thai curries common in Thai cuisine. Coriander – Also known as cilantro or Chinese parsley, coriander seeds offer a lemony citrus flavor and aroma when crushed, and can also contribute nutty flavors. Thai chili powder – This is not the same as Western chili powders, which are a blend of ground chilies along with spices like cumin and oregano. Thai chili powder is usually only ground chilies, often a blend of several varieties for differing levels of heat and spice. Lemongrass – Lemongrass has a wide array of uses, from being a part of curries to being used in soups to accompanying fish and poultry. It offers a citrus-like, grassy flavor and aroma. Turmeric – Related to ginger, turmeric can be bitter yet peppery. It can be used in the making of curries or sauces. Kaffir lime– From the leaves to the rind of the Kaffir lime fruit, this plant contributes much to Thai cuisine, especially the leaves. The fruit itself, however, is generally too bitter for use with food. There are many others, including ginger, galangal (related to ginger), green peppercorns, shallots, garlic, and much more – so many it would be impossible to list them all. The best way to experience them all is to visit Siam Garden in Red Bank and enjoy our authentic Thai cuisine in New Jersey. To learn more, be sure to follow us on Facebook!